iRealHousewives | The 411 On American + International Real Housewives: Former RHOCheshire Star Missé Beqiri Is Officially Engaged To TOWIE Boyfriend Jake Hall — See Pics Here! 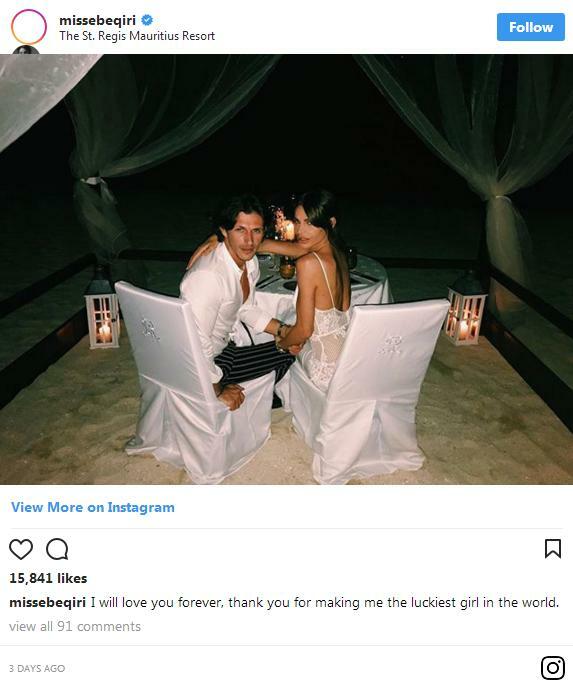 Missé Beqiri is officially engaged to boyfriend Jake Hall. 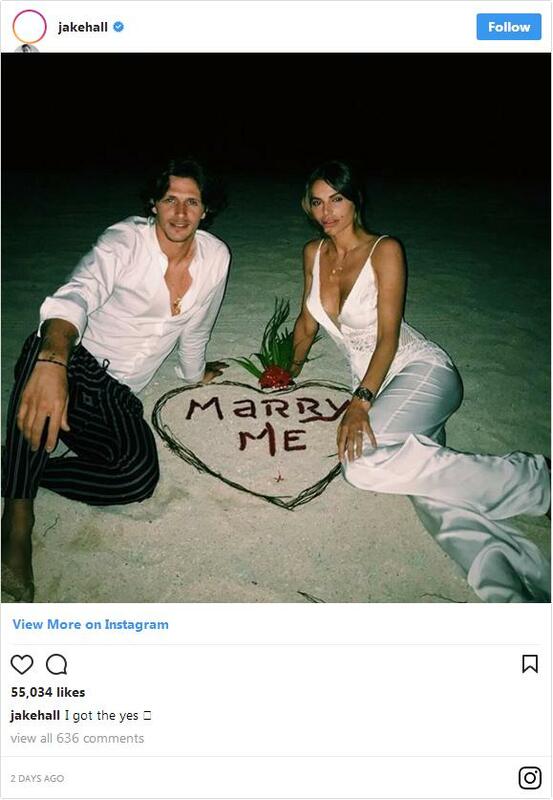 The Real Housewives of Cheshire alum took to Instagram to announce the happy news that she'd said 'yes' to the former TOWIE reality star. "I do [heart] rest of my life with you," she wrote. She decorated her post with a diamond ring emoji, and showed off her own band as she posed up with her beau. Standing at the helm of a boat in the middle of a beautiful blue ocean, Misse snuggled up to Jake, who was wearing nothing but a towel around his waist. Meanwhile, Jake revealed exactly how he'd popped the question - by spelling a message of 'Marry Me' out on the sand. "I got the yes," he shared on Instagram. Beqiri took to Instagram to reveal how much Hall has made her happy since their engagement. "I will love you forever, thank you for making me the luckiest girl in the world," she shared. 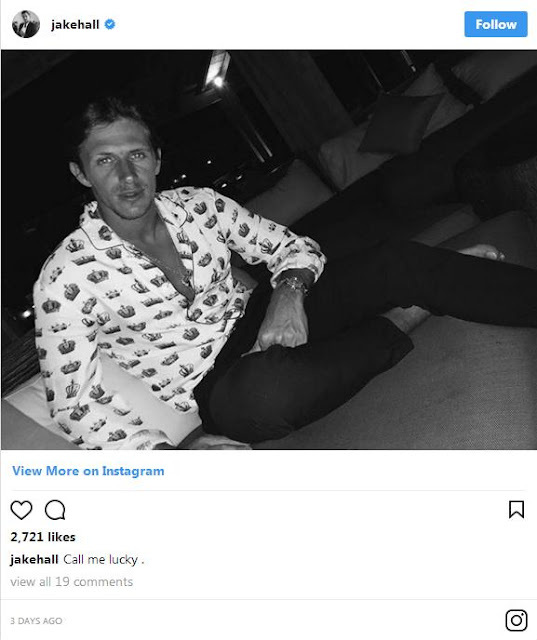 Meanwhile, Jake shared how "lucky" he is to be engaged to Beqiri in a recent Instagram post. "Call me lucky" he shared. Missé appeared on Season 3 and 4 on The Real Housewives of Chehsire and reappeared on Season 5 in a reduced role as a "Friend of the Housewives" in a reduced role. After leaving the ITVBe reality show, she moved to London to embark a romance with former Towie star Jake Hall. The pair got serious very quickly, with Missé falling pregnant in early 2017. In November, Missé and Jake announced the birth of their daughter River. Congrats to Missé and Jake on their recent engagement.